A unique, engagement setting with diamond pave single row shank. 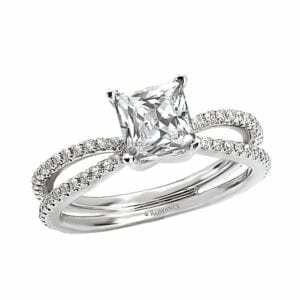 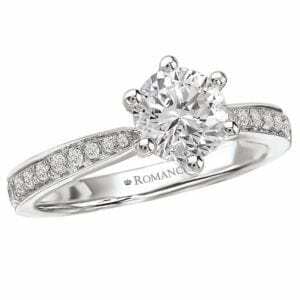 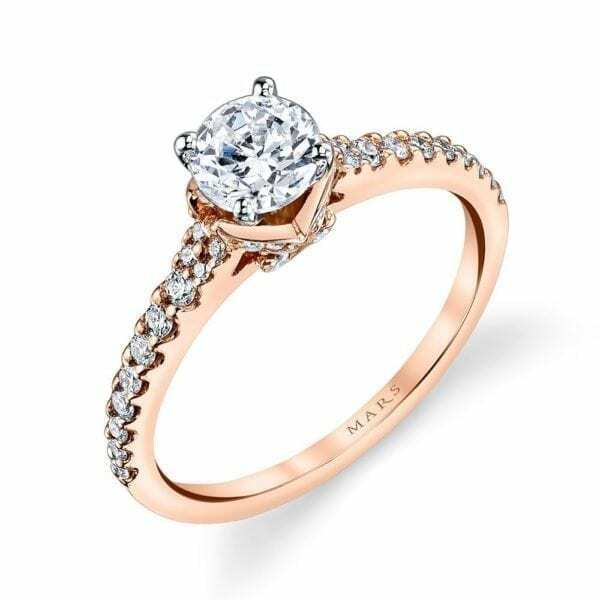 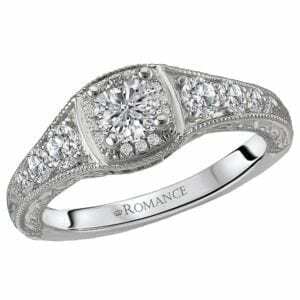 This engagement setting features a diamond embellished crown and milgrain detailing. 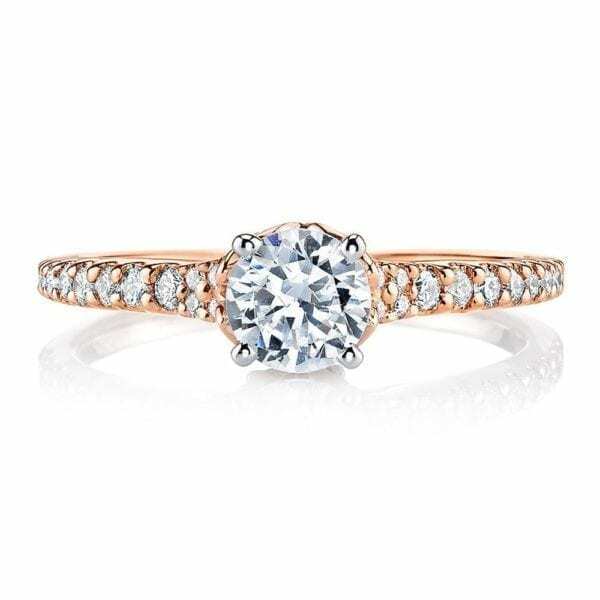 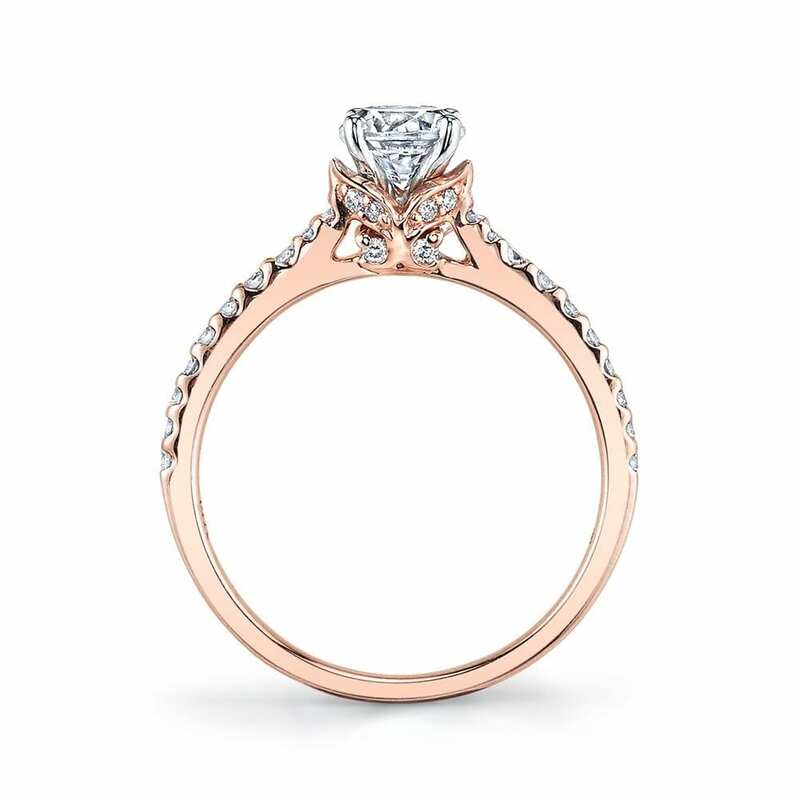 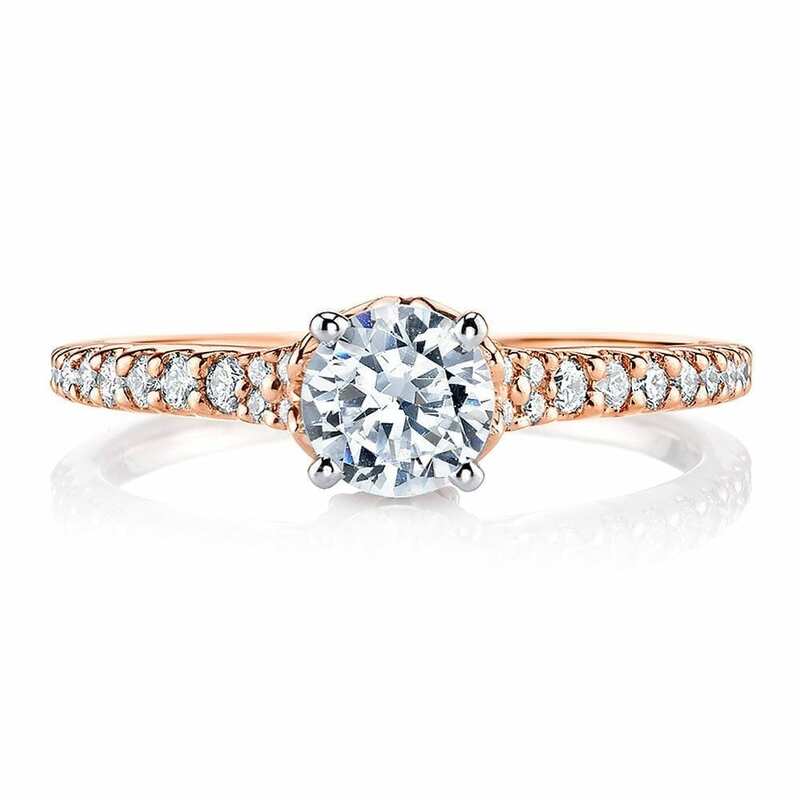 Shown in Rose Gold with Round 0.65 Carat; Center excluded from Price. 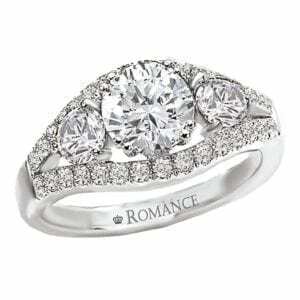 Side stones: 0.29 Carat Weight Total.